In 2008-09, fighting games became cool again. Street Fighter IV, BlazBlue, King of Fighters, they all made big splashes on the videogame scene. They were there to tell the industry that fighting games were back after nearly a decade. Of Course there were fighting games in that span of time, like Soul Calibur II, Tekken 4, Dead of Alive 4 and Virtua Fighter 5. But it had all fallen into a niche, and only the most devoted of fighting fans were really appreciative of these games. Coming into 2012, this fighting game boom shows no signs of letting up, with Tekken Tag Tournament 2, Street Fighter X Tekken, and Skullgirls keeping that fire going. But before we do, let’s take a moment to look back at the game that started the initial boom in the 90s: Street Fighter II. Street Fighter was a weird game. The original arcade game had you only playing as Ryu (with player two playing as Ken). He fought many fighters all over the world. Playing the game though was a test in either command memorization, or cabinet integrity. One version was your standard joystick and buttons, while the other had pressure two sensitive buttons that determined the strength of your attack depending on how hard you hit button. They broke eventually. Button commands for special attacks were another issue as they were very convoluted and hard to pull off during tense moments. The moves themselves, when pulled off, were overly powerful. To put simply, the game was a mess, so Capcom sought to fix this with Street Fighter II. 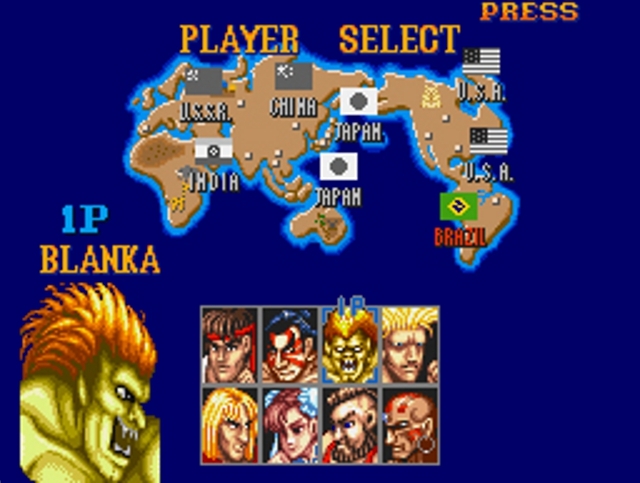 Adding 8 players to choose from, a simpler way to pull off special moves, and smoother animation, Street Fighter II saw critical and commercial success both at home and at the arcades. Soon after, other companies like Data East, SNK, and Midway sought to capitalize on the fighting game craze. The boom was on! This was an early SNES game for me, probably my fourth one after the initial 3 I had gotten when I got the SNES. My first contact with Street Fighter II started with the arcade unit. There were two video rental stores near my block: Boltron Video and L.A. Video. They both had arcade units lining their stores, with Boltron having the most arcade units. However, the more accessible of the two was L.A. Video. It was way smaller, but it had a decent assortment of arcades. The only games I remember being there were Mortal Kombat, some racing game, and of course, Street Fighter II. I played the game, though I don’t really remember if I enjoyed the game since I was still pretty young. Then one day, my mom takes us to a game store in Southern Boulevard in Hunts Point (then second best right next to then Funcoland) and gets the game (according to her). This was a strange kind of contact I had with the game. I really don’t remember if I hinted at wanting the game, liking the game, or what brought my mom to get me the game. But dammit did I have fun playing the game on the SNES. 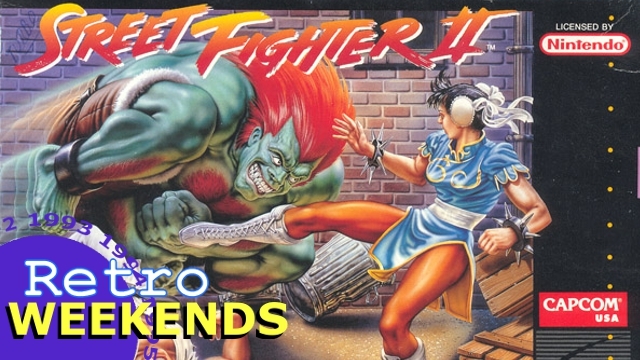 This entry was posted in Retro Games, Retro Weekends and tagged Capcom, chun-li, fighting games, guile, guile's theme goes with everything, ken, retro games, retro weekends, ryu, SNES, Street Fighter, street fighter II on February 4, 2012 by Steven T..